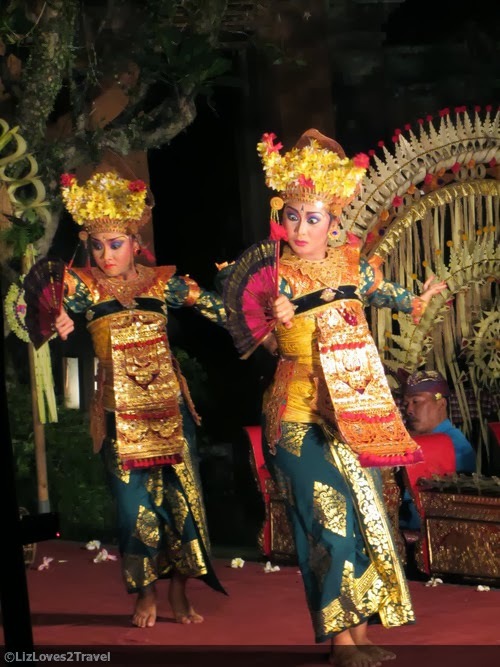 The following night, I was torn between watching Wayang Kulit and the Legong and Barong dances. I was actually more interested with the former but considering its location, I just went to the latter. 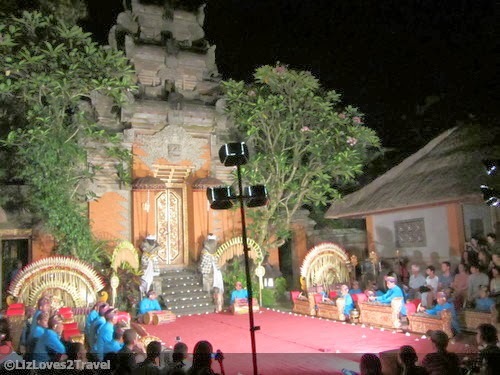 Wayang Kulit is being staged not too far from my home stay as a well, but the street going there is darker and I'm not comfortable walking there alone after the show (which is a bit late already). I opted to just watch another show at the Ubud Palace. I did not go as early as the previous night so I didn't get a good seat. You will be seeing a lot of that lighting pole later. The gamelan symphony started the performance again. Oh I love that clinking sound. 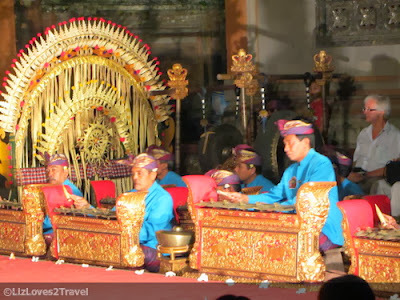 Gamelan is a traditional musical orchestra which originated from Java. They generally accompany traditional dances and dramas, Wayang (puppet) performances, as well as rituals and ceremonies. 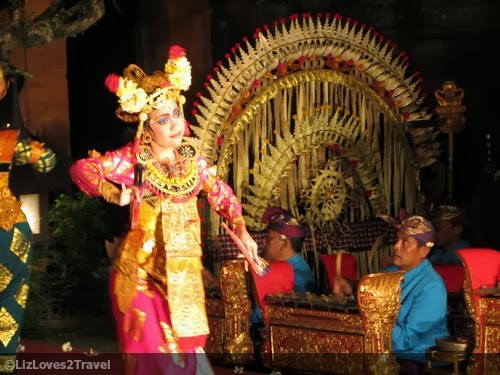 It is an indispensable part of the Indonesian culture. 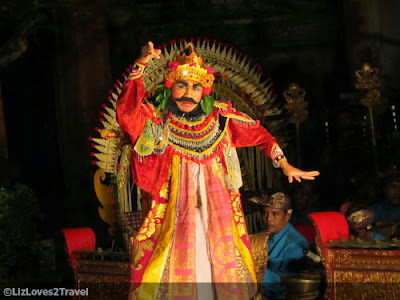 It is a story of romance derived from East Java history back in the 13th century. 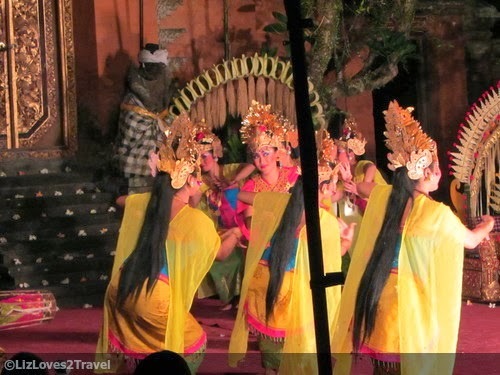 The dance started with the character of Condong, the court lady. 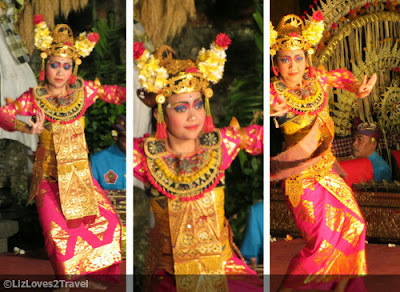 The first thing I noticed when she came out was, she was way too young compared to the Ramayana Ballet dancers. I later found out that Legong dancers must really be young girls. Preferably those who hasn't reached the stage of puberty yet. 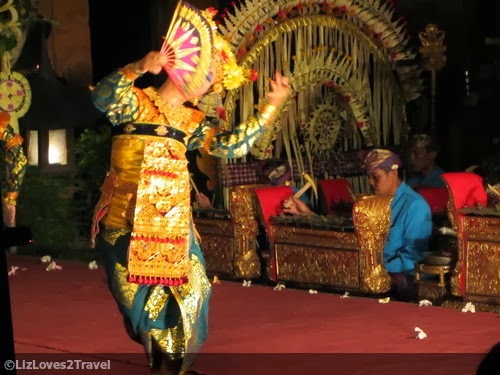 The retiring age of a Legong dancer is fourteen! Wow, interesting isn't it? I learned that these dancers starts their rigid training at the tender age of five. 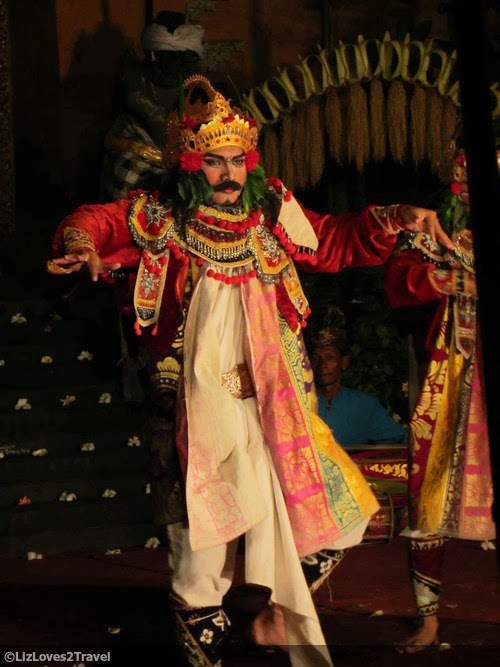 Condong's character is followed by two other dancers representing the King of Lasem and Princess Rangkesari. It is the usual King capturing the Princess in the hopes of marrying her but she rejected him. 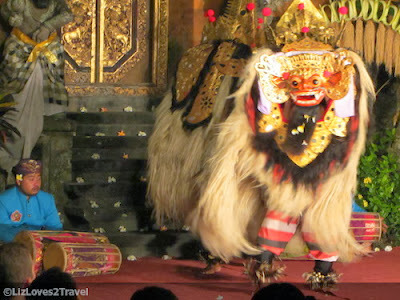 Barong is a lion-like powerful character considered as the king of spirits in Balinese mythology. He is also the enemy of the demon queen, Rangda. 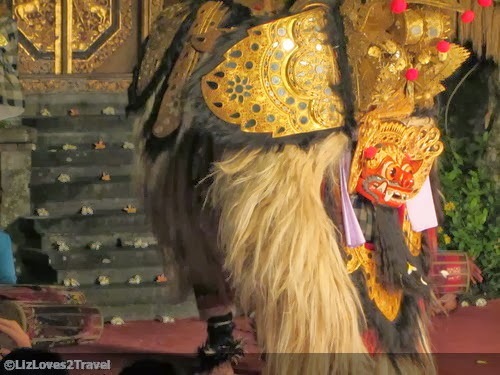 The Barong dance commonly features battle between him and Rangda which signifies the endless fight between good and evil. 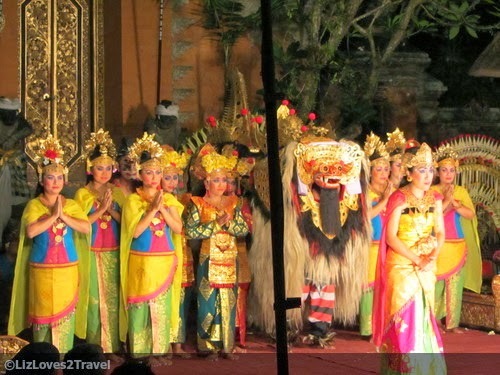 Barong is being played by two people in one costume. Imagine how hard it is. Unfortunately, I wasn't able to take a photo of Rangda. The last act for that night was this one. 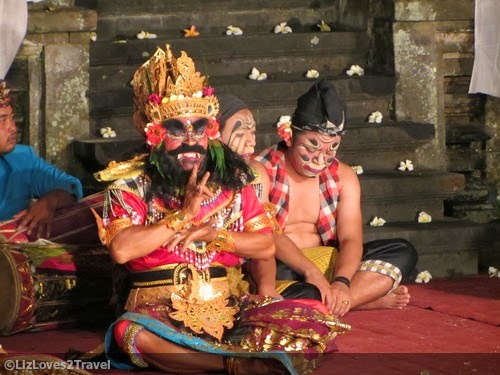 It is a dance drama taken from the other great Hindu epic Mahabharata. Sunda and Upasunda were king brothers. They were also from a family of mighty giants and were rewarded with magical powers. Later on they decided to conquer the home of gods and goddesses (heaven) using these powers. Indra the king of gods ordered Niatama, a beautiful goddess to go down to Earth and seduce the two giants. 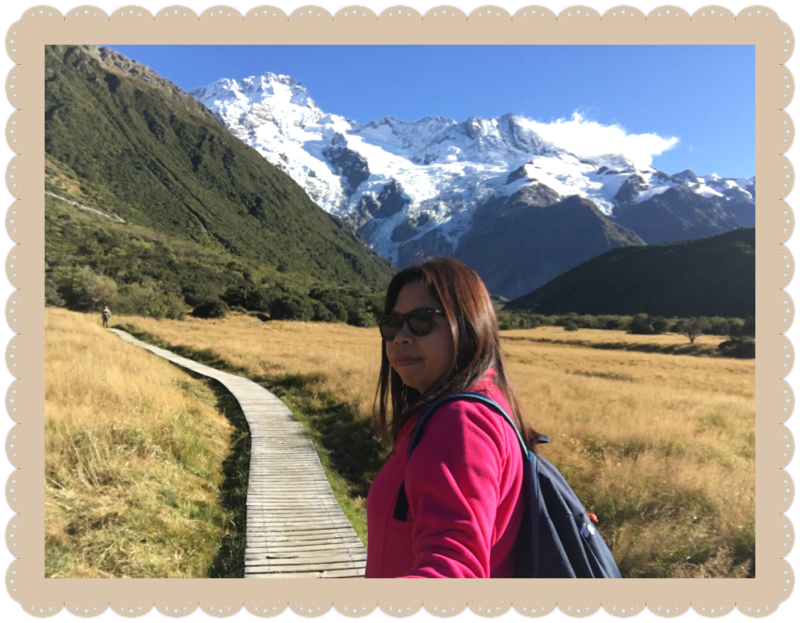 Forgive the pole distraction at the photos. Lesson: Go early. 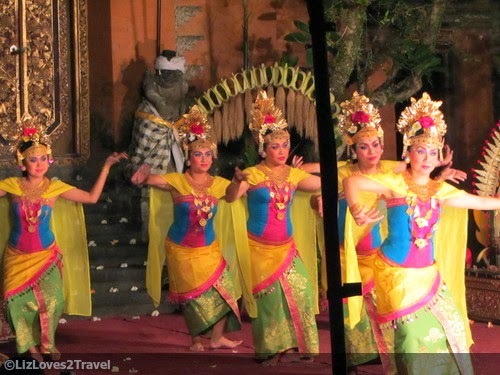 The Bidadaris (nymphs) lead by Niatama tried to destruct the brothers from their meditation and seduced them but only succeeded with the giants' people. They continued with their meditation again but Niatama takes on the task herself and this time succeeded in making the brothers to fall in love with her. Since both of them ended up liking her, they fight with each other. After wearing off all their powers and strength, the battle ended with exhaustion. It also took an hour and a half to finish. Just like the other night, I was amazed by the performances. 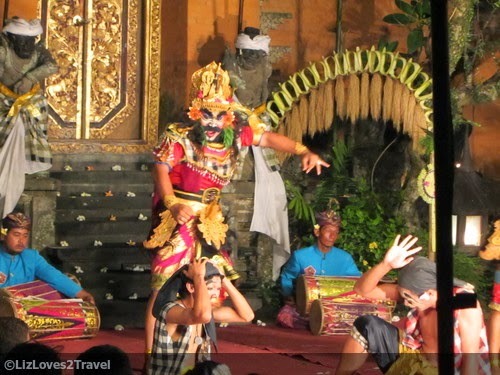 ○ Go to Ubud Tourist Information (UTI) to check on the Schedule of Performances. They can also give you a list of them. Hotels may also have that information. ○ There are several shows happening in different venues every night. You can choose based on what show you wanted to see or the location most convenient for you. 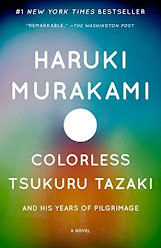 ○ You may buy the ticket from UTI or the venue itself. Sometimes hotels sell them too. 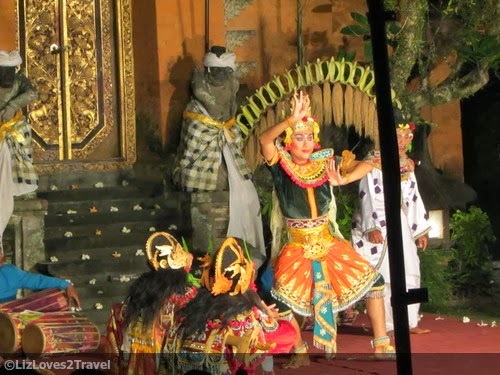 ○ Ticket prices ranges from IDR 75,000 to IDR 100,000. ○ Show normally starts between 7:00 to 8:00 PM. ○ Arrive at least 30 minutes before the show if you want a good seat and take real good photos. 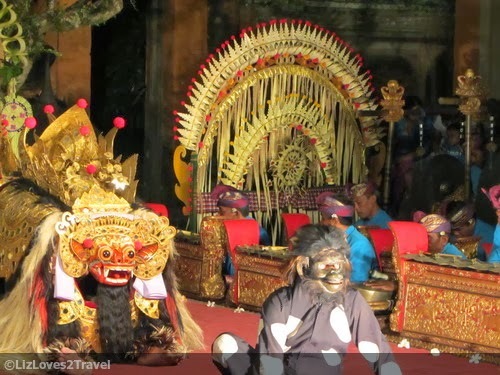 This is Part 4-2 of my Bali travel series.